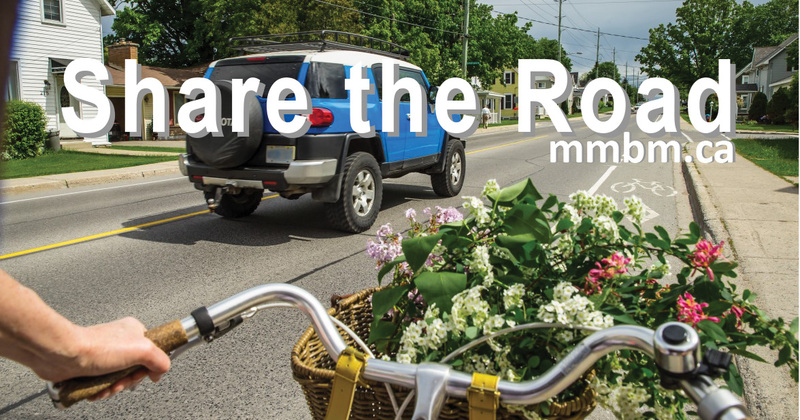 Bicycle Month in Mississippi Mills has wrapped up for another year, but cyclist and motorist “share the road” education is ongoing. Mississippi Mills Bicycle Month, in association with the Municipality of Mississippi Mills and Share the Road, produced the following 2-sided flyer, full of safety tips and share the road rules. Look for the flyer around Mississippi Mills. Mississippi Mills has a Right Bike bike rental program at the Almonte Old Town Hall, try it out! And these two cycle/motorist videos produced by Share the Road are both well done and further road safety education.